Mushrooms appear in the cuisine of many countries and they tend to have a bit of a reputation for being something people either love or hate. 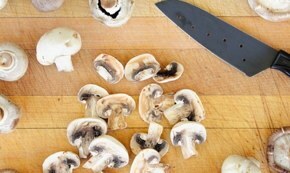 The M-Plan diet means including a lot of mushrooms in the diet, and this can make following it a bit daunting. It is not clear how many people have managed to follow it for long, but there have been some success stories although not enough to be conclusive. The idea of eating just mushrooms as a meal replacement once a day for a fortnight can be a bit hard to take. One of the strangest claims is that the plan will not take any weight away from the bust but allow inches to be lost from the hips and waist. To top it all, it is advised that they should be eaten raw as cooking could remove some of the nutrients. Mushrooms are easy to cook with and if eating them raw is not appealing then there are plenty of recipes that include them. Their fibrous make up means that they can be used as a replacement for meat, and mushroom soup for example, is easy to make. There is an explanation as to how the diet works and this is based on the fact that mushrooms have a low GI status. As with all products that are low on the glycemic index, they stop you from feeling hungry as they are high in fibre and are digested slowly so they release energy for a longer period of time than other food stuffs. Further advantages are found thanks to them being high in iron, zinc and B vitamins. The down side to this is that while the process is clear and the results do come through, the same could be said of eating many items not just mushrooms. If a high calorie, fat laden meal is replaced by a low calorie low fat one then weight will be lost whether it is mushrooms or another healthy item. Mushrooms are only 15 calories per 70g, so it was possible to eat a lot for very few calories but again there are only so many mushrooms you can eat in one sitting. Some users have not been able to carry on as it is too difficult to eat just one item so often. Others have not been keen to continue as they want an all-over weight loss, not to suddenly find that their bust is out of proportion. It would be difficult to follow the diet for too long as it could become monotonous and this is always a problem with dieting and a major reason for many failing. Has the Mushroom Diet Been In the Press? The UK newspaper, The Daily Mail has run a story in relation to this diet, and their reporter did find that she managed to lose weight – not a great deal – but there was a loss. The researcher who followed the plan did find that she had lost weight and from just the places that the designers of the diet described, but not to the extent that it had been claimed. There have been a few celebrity endorsements for the mushroom diet, but there is not a lot of information to go on. Both Katy Perry and Kelly Osborne have been impressed with the results they achieved, but as with any diet there could have been other issues at work – extra exercise or the like. Former British soap star Roxanne Palett who starred in the long running Emmerdale is also a keen advocate. Janine Fahri – a nutritionist has added her take on the diet and has suggested that in order to get success it must be organic mushrooms and the right mushrooms. Shiitake should be included along with reishi and maitake although there can be issue with eating just those types as it can lead to bloating and diarrhoea. It can also make it a more expensive diet as organic produce will be more expensive, and unusual mushrooms more expensive again. All in all there are signs that following this diet can lead to a degree of success, but also that it is not the best way to lose weight. Almost any low calorie item would do just as well and many would not cause the stomach problems that can arise with certain types of mushrooms. 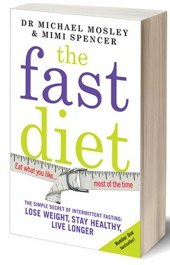 The Fast Diet is thoroughly recommended – it is a calorie controlled diet that has many success stories attached to it. Some users find it hard to last the course but those that do are rewarded for their effort. There is a complimentary product now called the 5:2 Fast Formula that can suppress appetite and help to make virtually any diet doable. This entry was posted in Diet Articles and tagged Katy Perry Diet, M Plan Diet, M Plan Review, Mushroom Diet. Bookmark the permalink.